I've had many requests for graphs for the Really, Really Round Flat Peyote Teachnique. 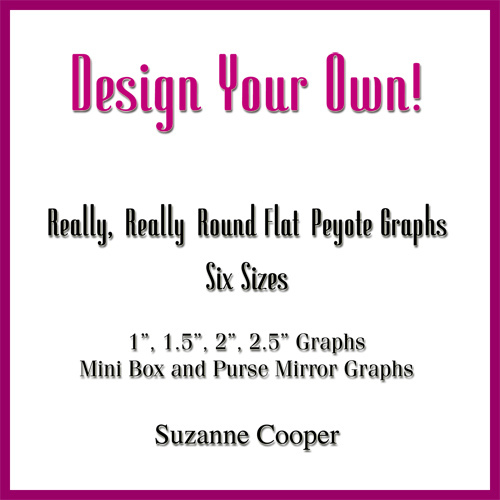 This e-book includes 1", 1.5", 2" and 2.5" graphs as well as a graph for Mini Boxes and Purse Mirrors. Tioka Bridges has these on her web site.